Westonzoyland Carnival Club is hosting its May Day Fete from 12pm on Monday, May 7th and invites people from all over to revel in the warmth emitted from the community event. 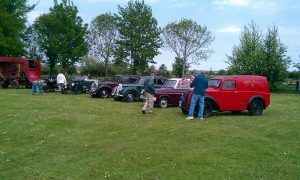 The event, in aid of the carnival club, offers a variety of car boots and stalls with a huge range of items for visitors with an eye for a bargain. The event takes pace on the Community Centre field from 12-4pm. Inside stalls are 5 per 5ft and outside stalls are 15 per 8ft. Car boot stalls are 6 per 6ft,and trade stalls are 5 per 8ft. Setting up time is from 10am on-wards (no earlier, if you come before 10am you will have to wait) and all booking fees are non-refundable.